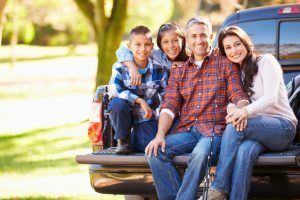 Having a good family dentist can make such a difference for your oral wellbeing. A lot of people visit a different office every time they need dental work, but counting on the same dental team means you have a group of professionals who know you and your smile — and can make recommendations for your best interest. Did you know Dr. Joe Isaacson and Dr. Ashley Cook see patients of all ages in Oklahoma City? They offer a list of comprehensive services, for complete dental care under just one roof. Take a few minutes to learn what our office has to offer, then schedule your appointment for a checkup and cleaning today! Dr. Isaacson and his team have been providing excellence in family dentistry since 1993 — and he and Dr. Cook are accepting new patients right now. Need a general checkup and cleaning? Or restorative dental care? Or perhaps you’re interested in a full smile makeover — whatever it is you and your smile require, patients of all ages find their dental services at our state-of-the-art Oklahoma City office. The foundation of a healthy smile lies in preventive and general dentistry, and that’s why we recommend all patients undergo a checkup and cleaning every six months. This visit is necessary to remove the plaque and tartar that cause tooth decay, gum disease, and other issues — and it’s also your chance to get that smooth, clean-tooth feeling we all love after a trip to the dentist. Children benefit from dental sealants and fluoride treatments, and custom mouthguards can help athletes and nighttime teeth grinders protect their smiles. Healthy teeth should be able to sparkle, too, and services in cosmetic dentistry allow us to reveal your most beautiful smile. Dark, dingy teeth can be rejuvenated with professional teeth whitening or Lumineers, and tooth colored fillings and crowns restore teeth after decay or damage without marring the appearance of your smile. We also offer Invisalign, clear braces for adults and teens, as well as laser gum contouring. When decay takes hold, white fillings and root canals help us restore your teeth to their original teeth. And for patients who have lost teeth, don’t wait to seek a replacement. Dr. Isaacson and Dr. Cook offer an array of options for replacement, including dental implants, crown and bridge and dentures and partials. Whatever it is you need, we offer sedation dentistry to help you float worry-free through any dental procedure. Your family deserves to benefit from excellent dental care — schedule an appointment with Dr. Joe Isaacson and Dr. Ashley cook today! We’re the Oklahoma City family dentists caring for smiles of all ages.